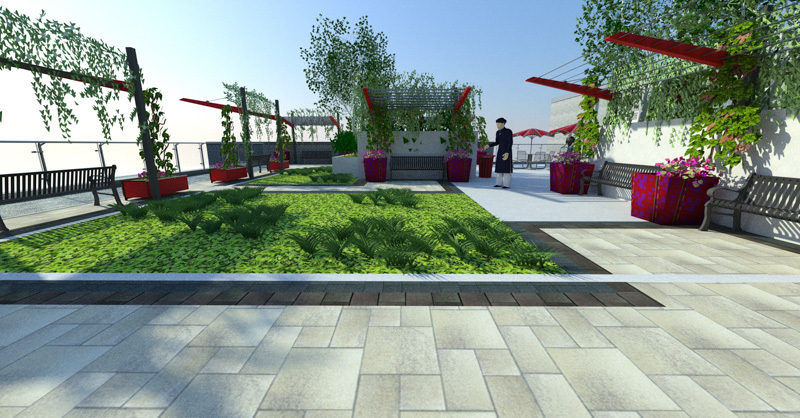 The Rouge Valley Health System approached our firm to design a revitalized Hospital Green Roof amenity space. 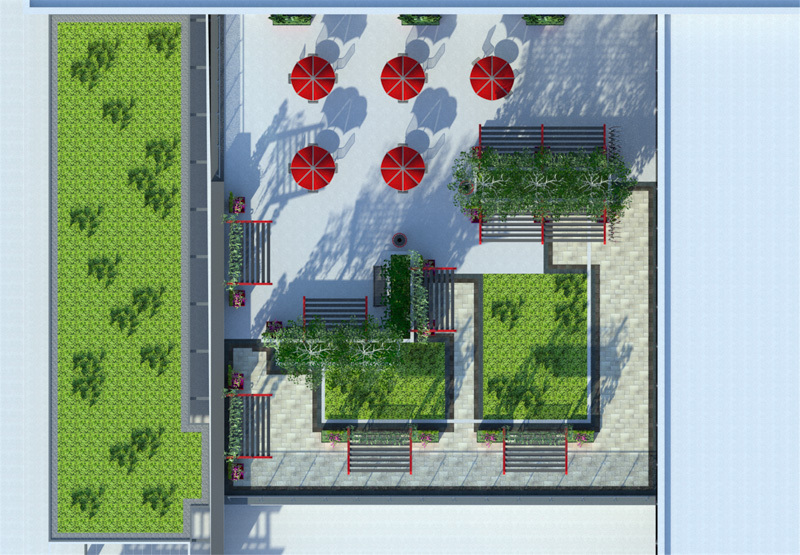 This area was previously underused and became an extremely hot space during summer months. 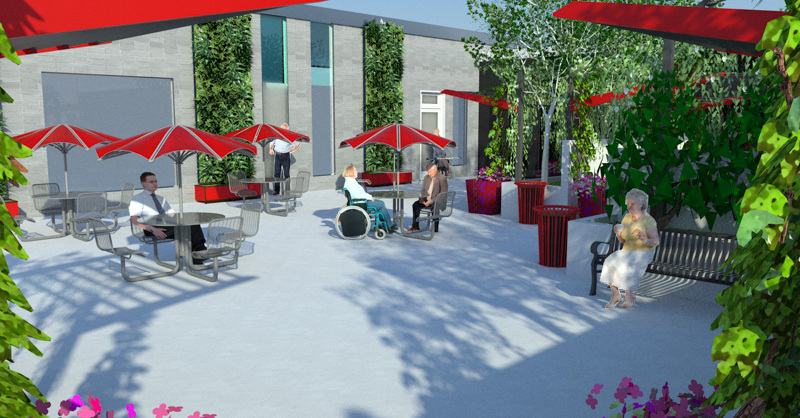 This ‘Oasis’ inspired design features new trellis structures for climbing vines to provide shaded seating areas for long-term care patients in the hospital complete with spray misters. 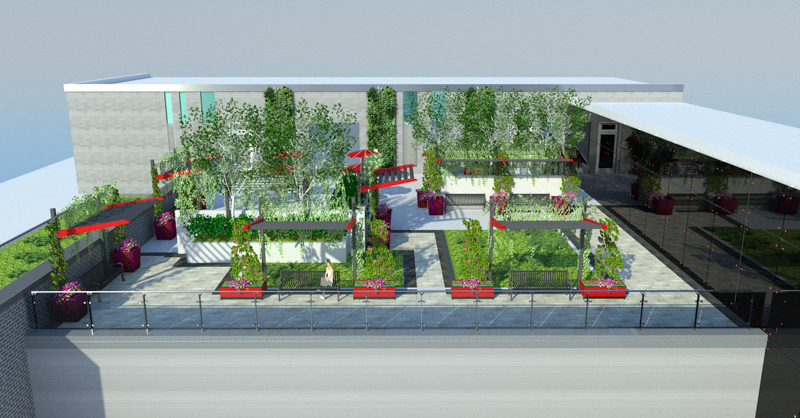 New plant beds are included in order to help cool the ambient temperature. 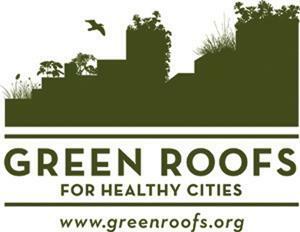 Care was taken to work with the existing roof structure and weight load restrictions. We also prepared a photo-realistic rendering with in-house resources for the Rouge Valley Health System to use for fund-raising initiatives. The ultimate design will create a space that in inviting and relaxing. Recent research has found that allowing patients to interact more with nature can speed up the physical and mental healing process. 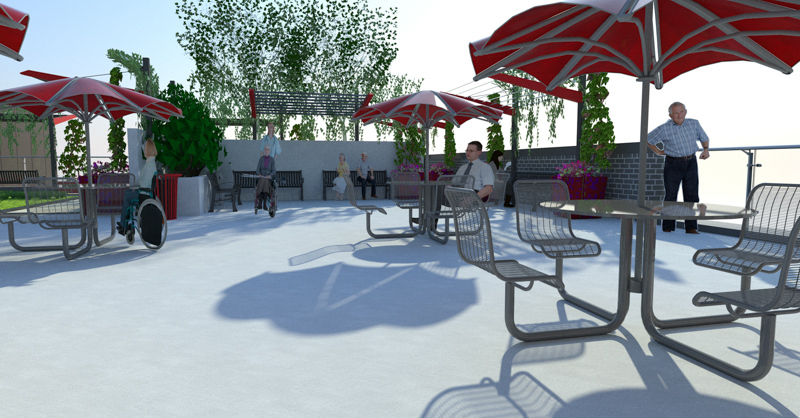 The rooftop amenity space will be a phased-in project, with Phase 1 currently under construction in Fall 2014.